We were recently asked to source a radiogram for a customer, after seeing and hearing one of our previous restorations whilst on holiday in Brittany at La Chaumine. 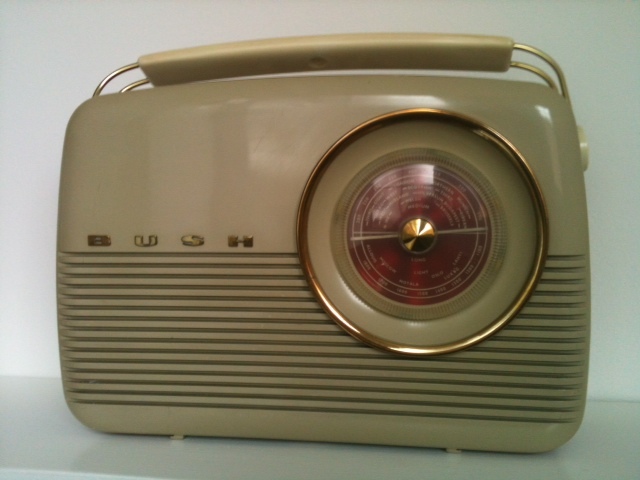 The result was this beautiful Bush RG46 radiogram from 1954. With a fully restored radio, brand new record deck, aux input for mp3 or bluetooth and personally delivered to its new home in Alkmaar, Holland. Definitely the best Wayne’s Radio roadtrip so far. It included night ferry from Harwich, tour of the beautiful town of Alkmaar, educational visit to the cheese museum, slice of Apple Cake, a fabulous lunch, climb up a working windmill, several cups of coffee and an assortment of traditional biscuits. All this was courtesy of a generous chunk of Dutch hospitality from the radiogram’s new owners. We ended the trip with a large glass of wine and a well earned rest on the night ferry home. A job well done. As for Alkmaar, definitely go visit, it’s worth the trip. 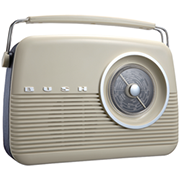 The BUSH TR82 is the iconic transistor radio designed by David Ogle. 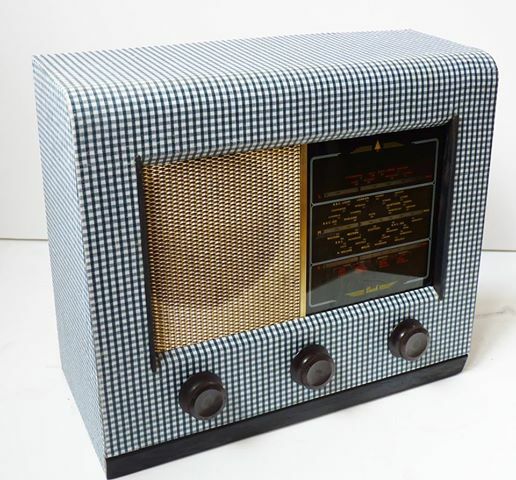 As testimony to its appeal, since the late 1950s to the present day, there have been at least 16 different models and variations of this very same radio charting the development of portable radios and broadcasting from the earliest beginnings at the end of the fifties to the emergence of DAB today. Enthusiasts have devoted their life’s work to seeking out each and every version and just when they think they have a complete set, another one surfaces. It must be like playing Top Trumps for transistors. I could tell you how to spot each and every variation but it would read like a complete nerdfest. Along with the technology they vary in model number, case colour and trim but here are the edited highlights. 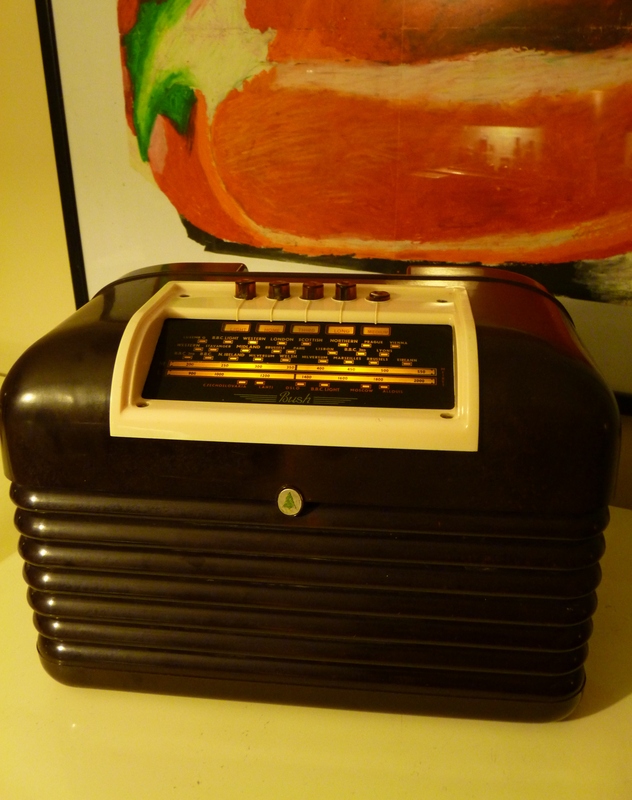 The 1957 the MB60 valve radio for long wave and medium wave started it all along with an export version, the EBM60. It was pale grey with red rexine sides and brass lettering and trim. Two years later, the 1959 transistor version TR82 come on the market. 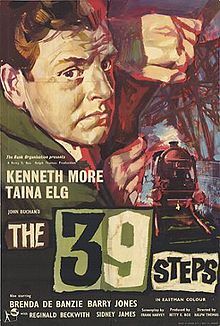 Bush used product placement with great success in the first remake of the classic film The 39 Steps starring Kenneth More as Richard Hannay. Tension mounted in the railway carriage compartment as the announcer could be heard breaking the news of the search for Richard Hannay. The camera panned to a close up of the lady in the carriage holding the brand new 1959 Bush TR82B and a shed load of radios were sold. In 1997 the TR82/97 hit the shelves. An updated reproduction of the VTR103 manufactured in China. Enthusiasts and collectors are very sniffy about this version which is known as the “wonky-u”. It was thought that the Chinese stripped down an existing TR82 and went from there. On the original case the BUSH name was made by individual chrome-plated letters with two fixing pins attached to corresponding holes on the front of the main case. Looking to make savings, the letters were made as part of the moulding of the case and electroplated in chrome or gold. As part of this process, the letter “U” became more horseshoe shape – hence the wonky-u. This ones ours and, although I accept the manufacture could be considered to be slightly inferior to the earlier British made radios, I still love it because I love the solidness, shape and colour of the original design. In 2007 the TR82DAB brought the insides of the radio bang up to date but the exterior remains fundamentally the same. Which just goes to show you really can’t top a good design. Why change it when it still looks this good nearly sixty years on. 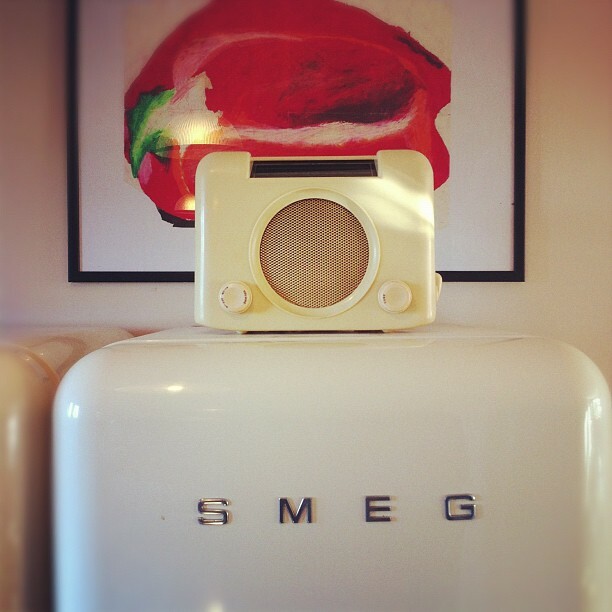 Our first radio of 2014 is an old favourite. The 1950 Bush DAC 10. This one is a much-loved curvy classic. 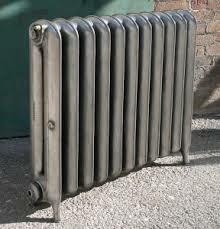 The louvred sides have always reminded me of vintage cast iron radiators or the radiator grilles on vintage cars. 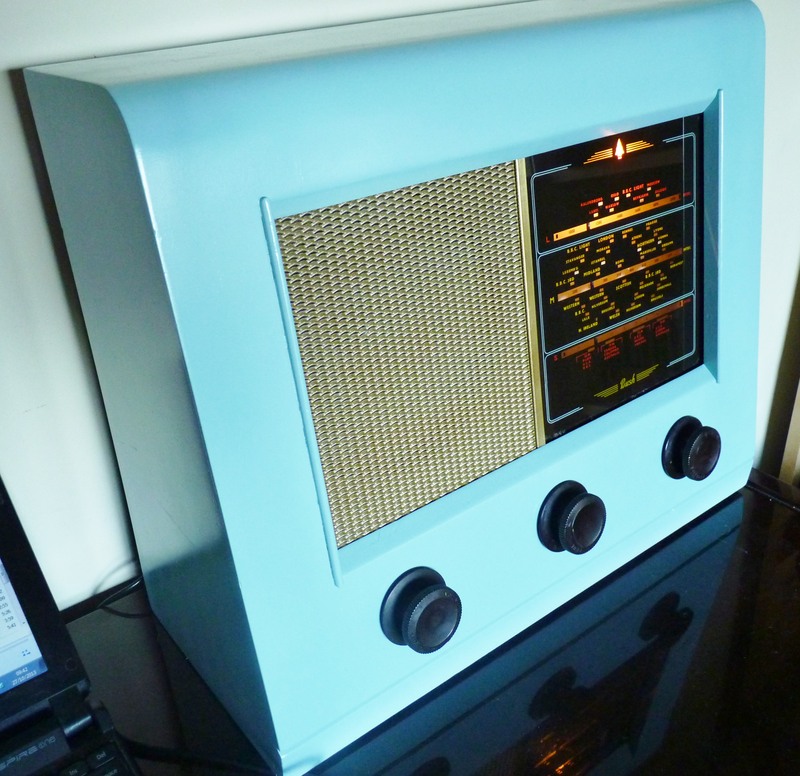 We like restoring vintage radios to their former glory. Not only bringing the sound back to life but also working on the cabinets, both bakelite and wood. 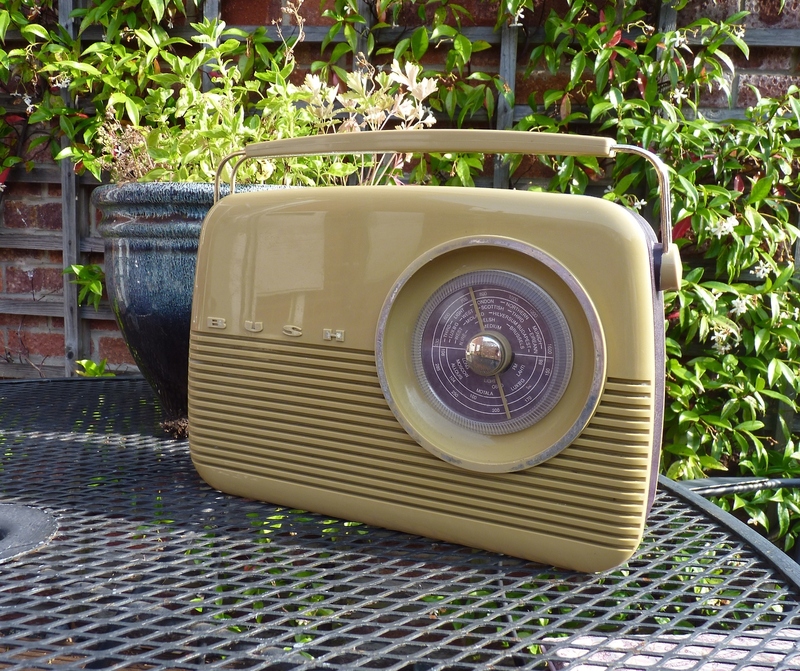 These radios appeal to traditionalists and purists and are a joy to work on. Every radio tells a story and provides a very positive and tangible connection with the past. On the other hand, we like to ring the changes and take every opportunity to take a distressed radio and bring it back to life, be creative and add our mark. Working on these radios is particularly exciting. How they will end up has only been in our imagination and we have to wait with bated breath for them to be reassembled. Add an mp3 or iPod and we’re down with William Morris having nothing in our home that we don’t know to be useful and believe to be beautiful. We haven’t been disappointed yet. 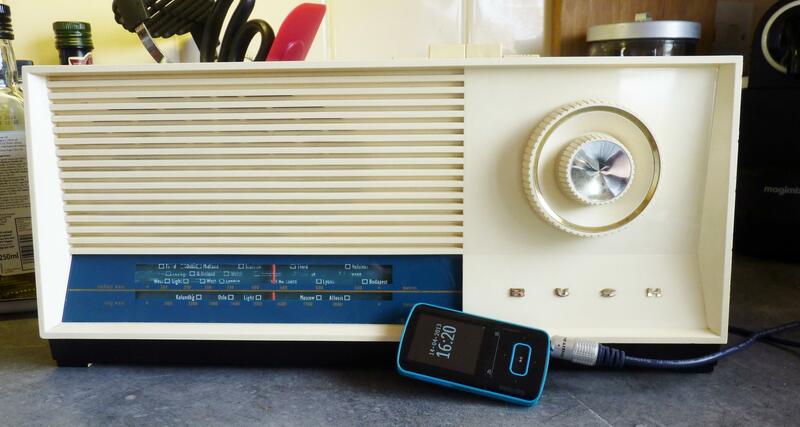 All the way back to the swinging sixties with the latest in our current phase for Vintage Transistor Radios. Up for grabs, a 1960 TR91 made by Bush. This Bush Transistor Radio was looking worse for wear. 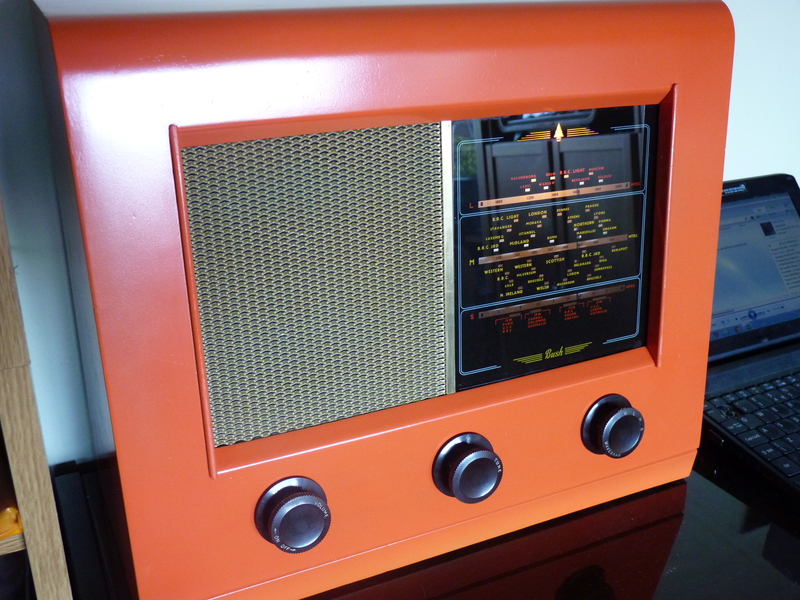 Although the front of the radio still looked good, the rest of the outer casing had badly discoloured and looked a rather grotty nicotine yellow. The front was scrubbed and polished and the back is now a shiny black. We used a contrasting colour rather than to try to match the front and back. The simple styling and splash of blue makes for a good looking set and its now fully restored and modified so that you can use it with your iPhone or mp3 player. 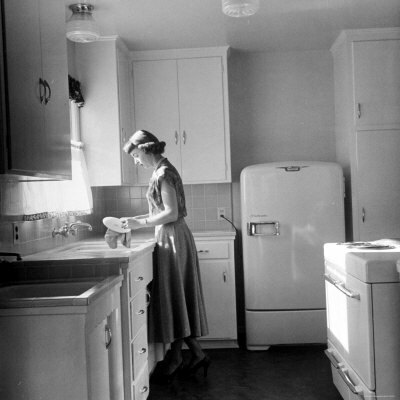 Back in 1960, the first episode of Coronation Street was shown on the television in grainy black and white, Roy Orbison was singing “Only the Lonely” and Proctor and Gamble launched their new Fairy washing up liquid. Their latest slightly irritating advert cleverly marks the passing of time with different radios. They should have focused less on the mother and daughter and more on the radios and produced a far superior advert in my book. Is This The Most Successful Radio of All Time? 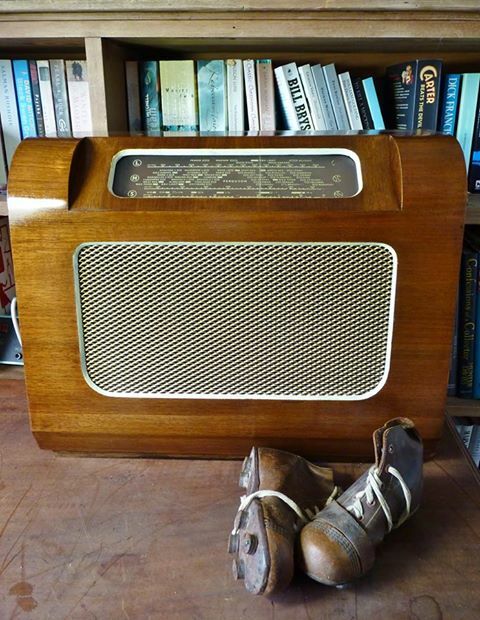 The DAC 90 was a very popular little valve radio which was first produced by Bush Radio in London in 1946. It originally cost eleven pounds and eleven shillings. The first DAC radios came in black and amazingly, considering the number of radios we’ve got piled up on the shelves in our workshop, we’ve never actually come across one – but we’re not giving up. The brown and cream ones are still relatively plentiful. Unlike other vintage valve radios, I bet no one could bear to throw this one out. This little lovely was believed to have been designed by Frank E Middleditch who was awarded the British Plastics and Moulded Products Trader award in April 1937. The aim was to satisfy the demand for a small, transportable, plug in radio. They still wanted it to have the familiar bush “tone” but wanted it to look good and above all be reliable. 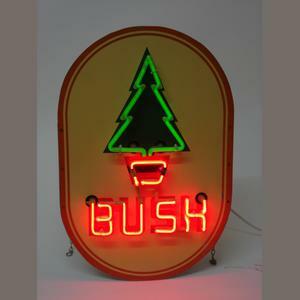 Bush’s advertising saw the tree as “The symbol of reliable radio” . They prided themselves on rigorous quality control. Ferranti offered a ninety days warranty, Bush offered its customers a whole year. The original control knobs on the black sets were completely smooth but had to be redesigned because the Mrs in the kitchen trying to turn the knobs found them difficult to turn with wet or greasy fingers. The next generation of knob was ridged and the radio produced in brown and cream.